The transition from a car seat to a booster seat when your child is four or five is an exciting time for them—who doesn’t like a little more independence at that age?—but it’s important for you to know when it’s safe to make the switch and how long to keep your kids in booster seats. The purpose of a booster seat is to raise up a child so that the shoulder and lap belts fit correctly and therefore safely. 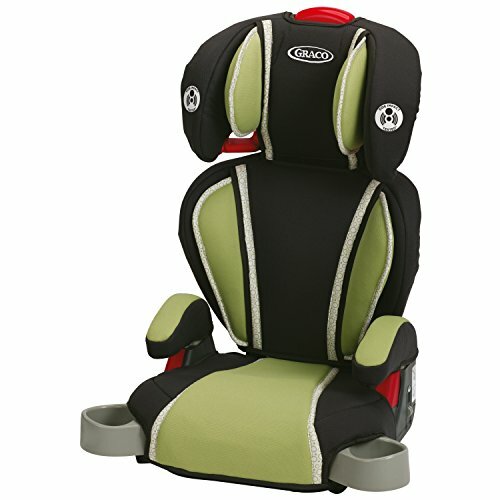 Booster seats can also ensure that a child has adequate head support, whether from the back of the booster seat or from the headrest in the car. Although there are age, weight, and height guidelines to follow, it’s most important to make sure the vehicle seat belt fits correctly. We’ve got our top picks for the best booster seats that ensure correct seat belt placement, as well as information on how to judge when your child is safe without one. All currently manufactured car booster seats pass the same Federal Motor Vehicle Safety Standards (FMVSS 213)1, and they are all completely safe when used appropriately and installed correctly. Some booster seats have features that make them extra safe, which we took into account in our rankings. Also, the Insurance Institute for Highway Safety (IIHS) tested2 to see which booster seats are most likely to fit correctly in a wide range of vehicles and provide a proper lap and shoulder belt fit for typical four- to eight-year-olds. The institute’s Best Bet rating is the highest rating, and one that all of the booster seats on our list earned. The Britax Parkway SGL is a high-back booster seat with a removable back, and the weight limit goes up to 120 pounds, so it can grow with your child. The Parkway SGL uses LATCH connectors (built-in straps that securely connect to the metal anchors in the seat of a car) to prevent the seat from moving or becoming a projectile when it’s not being used by a child. Users report that the seat is comfortable for children, even on long car rides. However, the seat back does not completely recline, so children have to nap sitting up. The seat is heavier than other booster seats at over 12 pounds, and the price is relatively high, but these are the its only main drawbacks. Additionally, the Parkway has two forms of side impact protection: an energy-absorbing shell and a foam-lined headrest. It also has an impact-absorbing base and a belt-positioning clip for the lap belt to prevent children from sliding under it. These extra features gave the Britax Parkway SGL the extra boost it needed to take the top spot. Dimensions: 18 x 28 x 15 in. The Diono Monterey booster seat’s sides and headrest are reinforced with aluminum and covered with energy-absorbing foam, and the bottom of the seat is reinforced and slightly angled to keep your child from sliding off. The headrest has 11 settings, and you can adjust the sides of the seat to make sure the it fits your child exactly. LATCH connectors keep the booster seat attached to the car at all times, and the high-back attachment can be removed. Like our top pick, the Diono Monterey has a weight limit of up to 120 pounds and a height limit of 63 inches, so it can grow with your children for a long time. 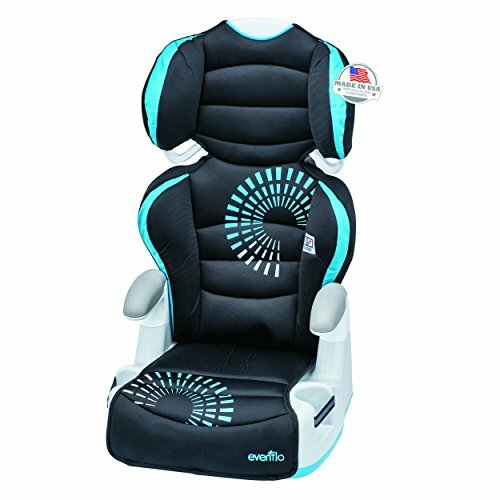 The Diono Monterey has two recline positions where the Britax Parkway SGL does not, but it is also more expensive and heavier than the Parkway SGL with slightly less robust safety features. This dropped it down to our number-two spot, but both of our top two choices are secure, reliable, and highly rated by users. Dimensions: 19 x 26 x 16 in. 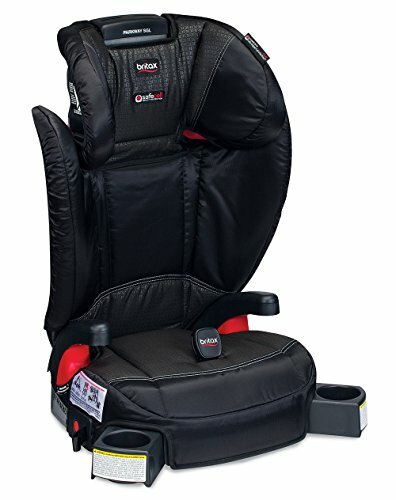 The Graco Affix Highback booster seat is a high-back booster seat that can convert into a backless seat. However, the backless seat has a size minimum of 40 pounds and 40 inches tall, whereas the high-back seat can be used with children who are at least 30 pounds and 38 inches tall. The Graco AFFIX has one slight recline position and uses easy-to-adjust LATCH connectors to keep the seat secure while it is unoccupied. The headrest is fully adjustable for your child’s comfort and protection and, as an added bonus, it uses energy-absorbing foam to protect your child in case of an accident. The Graco AFFIX has lower weight and height limits than our top pick and fell behind in terms of extra safety measures, but overall this is a well-made and highly recommended booster seat. Dimensions: 16.75 x 25.5 x 10.5 in. The Graco TurboBooster car seat has almost all of the great and reliable features of our number-three pick, the Graco AFFIX, with one exception: the TurboBooster does not have LATCH connectors to keep the booster seat securely in place when not in use. But remember, LATCH connectors aren’t a requirement for a booster seat to be considered safe. Other than that, it matches the Graco AFFIX in every way and is even less expensive. The high back is easy to remove and the weight and height limits are the same as for the AFFIX (30 pounds and 38 inches for the high-back; 40 pounds and 40 inches for the backless). The headrest is fully adjustable and uses energy-absorbing foam to give more protection to your child’s head in the event of an accident. And like the Graco AFFIX, the TurboBooster has a 10-year expiration period, so you can use the seat for several years longer than similar products. Overall, the Graco TurboBooster is an excellent booster seat at an even lower cost than our other Graco pick. Dimensions: 16.5 x 26.5 x 15 in. 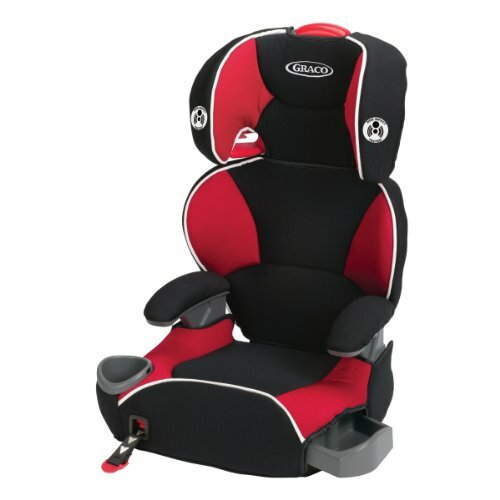 The Evenflo Big Kid AMP booster car seat is another user favorite. The high back can easily be removed, though it does not recline at all, and the headrest is adjustable with one hand to six different positions. The seat is light at just over eight pounds, making it easy to reposition and move. The weight limit goes up to 110 pounds so the seat can be used longer with bigger kids—and best of all, the price is hard to beat. The downsides to this booster seat are that there are no LATCH connectors for when the seat is not in use, and it comes with only a limited 90-day warranty. We like to see a warranty of at least one year, especially when it comes to something as crucial as car seats. Finally, some users report that the head/neck support is not as substantial as with other booster seats so there is very little support if your child falls asleep. 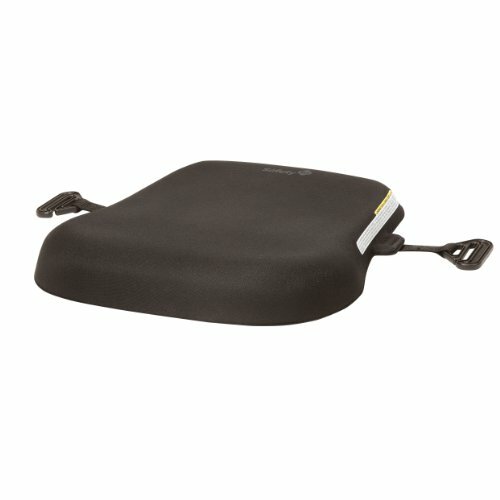 In spite of that, the Evenflo Big Kid AMP booster seat is a great low-cost option for keeping your child safe in the car. Dimensions: 16 x 28 x 15 in. The Safety 1st Incognito Kid Positioning Seat is not a traditional booster seat, but we found so many positive reviews and recommendations for it that we had to include it on our list. While traditional, colorful booster seats are perfect for younger children, older children who don’t quite fit in a regular seat belt may be too self-conscious for conspicuous booster seats. The goal of the Incognito is to be inconspicuous while giving kids the boost they need to sit safely. The Incognito is a simple seat cushion with two lap belt positioners. While it lacks the advanced safety features of the other booster seats on our list, it is much safer for children to use something small like the Incognito than to stop using a booster seat before they should. The Incognito is lightweight and easy to reposition, and it can even make short adults more comfortable in the car. While we found many more positive reviews than negative ones, users consistently reported that the cushion is not well padded and becomes uncomfortable, and that the lap belt positioners can be too tricky for some children to use on their own. However, the Safety 1st Incognito is a great, safe choice for older kids who aren’t quite ready to use just a seat belt. Dimensions: 16 x 3 x 19 in. Capable of holding up to 120 lbs. and 60 in. Although older children may resist using booster seats, the official recommendations from every organization say to wait before transitioning them out. The official guidelines from the American Academy of Pediatrics (AAP) state that children should ride in booster seats until they are between eight and 12 years old and have reached 4 feet 9 inches (57 inches) in height3. Most booster seats require that children using them weigh at least 40 pounds and are 38 inches tall, and it is strongly recommended that children stay in forward-facing car seats with harnesses until they outgrow the weight and height limits for the car seat. 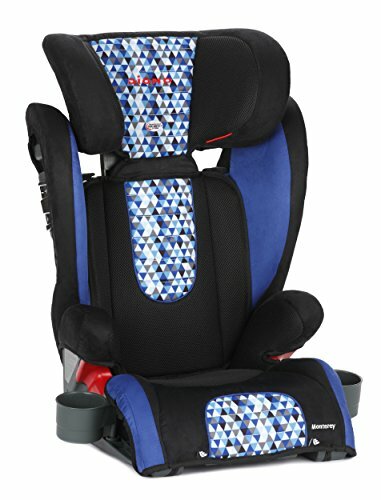 The National Highway Traffic Safety Administration (NHTSA) states that booster seats should be used for children ages four to seven4, though the Centers for Disease Control and Prevention (CDC) recommends5 keeping children in forward-facing car seats until they outgrow them or reach the age of five. Although these recommendations differ slightly, it will be safest for your child if you let them outgrow their forward-facing car seat and wait as long as possible before switching to a booster seat or seat belt. If you have any questions about car safety laws, you can find out more about your state’s seat belt and child restraint laws here. Follow the guidelines6 for correct seat belt fit to determine if your child is ready to transition out of a booster seat. Several organizations7 use a five-step test based on those guidelines to help parents evaluate what their kids are ready for. Do your child’s knees bend comfortably at the edge of the seat with feet flat on the floor? Does your child sit all the way back on the seat without slouching? Is the lap belt low across the hips and tops of the thighs? Does the shoulder belt cross the center of the collarbone? Can your child stay seated this way for the entire ride whether asleep or awake? If the answer to any of these questions is no, your child probably needs to continue using a booster seat. Also, note that even when your child is in a booster, the seat belt should make contact with your child’s shoulder and chest. If this isn’t the case, find a different seat in the car to try to improve the belt position or find a different booster seat that fits your child better. Although none of the major child safety organizations differentiate between the safety of high-back and backless booster seats, backless booster seats are better for older or bigger children. Because backless booster seats don’t have shoulder belt positioning guides, they are likely to fit incorrectly on younger or smaller children. They are also better for children who can comfortably use the car’s headrest to provide head support and whiplash protection. If your child uses a backless booster seat, make sure that the back of the vehicle seat comes up to at least the top of your child’s ears. That is the same height as the base of their skull—anything lower increases your child’s risks of whiplash in an accident. Always find the right booster seat for your child’s size and weight. Some booster seats are geared toward larger or wider children while others have a more narrow fit. If you have a tall, skinny child, make sure the seat back is high enough for them without being too wide. Also, as you teach your children to buckle themselves into the booster seat, make sure they understand how to correctly use the belt guides. Correct installation is equally important as using the right kind of car seat for your child’s height and weight. The good news is that installing a booster seat is much less complicated than installing a car seat—the bad news is that in a recent study8 by the NHTSA, 20% of booster seats were incorrectly installed or misused. Visit a car seat inspection station (find one near you here) to make sure you maximize your child’s security. Though your kids may be eager for the day when they don’t need any kind of car seat, please don’t rush to get there. Children are safer in the car when they are properly restrained, and even children over the age of eight often benefit from using use some kind of booster seat. Try to involve your child in the process of picking their booster seat so they can be excited about using it. Each of the top picks on our list is a great place to start the selection process, and remember that any booster seat will be safer than no booster seat for a child who needs it. If you are also interested in other car safety items. Check out our 2017’s best dash cam reviews for more information on security dashboard cameras for your car.